"All Scripture is breathed out by God and profitable for teaching, for reproof, for correction, and for training in righteousness” (2 Timothy 3:16). The Zambian annual spiritual feast has arrived! It is around the corner. On 22nd August we are expecting to see friends coming to share in this feast from all the nine provinces of Zambia, from the neighbouring countries (Botswana, Malawi, Namibia, etc), and from further afield (Australia, Ethiopia, Kenya, USA, etc). As usual, this conference remains free to all our international visitors, and it is subsidised for all those who are coming from within the country. 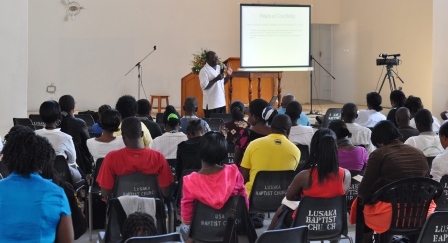 Four Reformed Baptist churches in Lusaka contribute financially to its sustenance. The theme this year is “A Cross-Centred Life”. I have been asked to give the keynote address and my mind is trying to find a way to reduce this subject to one sermon. The cross is as vast as the universe. 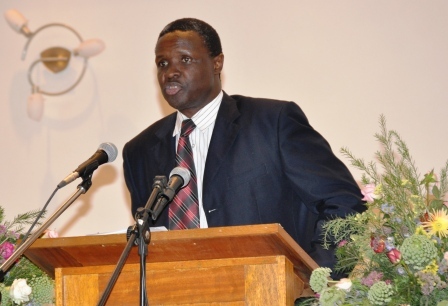 The main preachers are Voddie Baucham (Pastor of Grace Family Bible Church, USA) and Jonathan Sims (Pastor of Shelbyville Mills Baptist Church, USA). Voddie needs no introduction to the Zambians who attend this conference. He has preached here twice before. I first heard Jono (as Pastor Sims is affectionately called) at a conference where I was preaching in Alabama, USA. 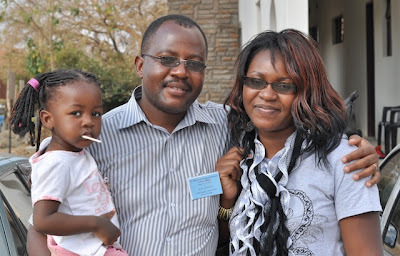 When he finished preaching that day, I said to my wife, “We need to get this man to Zambia. The brethren there will love his enthusiastic preaching.” Jono just exudes with love for the Scriptures of God and for the God of the Scriptures when he preaches. This conference has been an important vanguard for the Zambian Reformation. It started in 1990 and so this is our 22nd year of meeting. When we started this conference, the Reformed Baptist movement in Zambia was in its diapers. People feared that we would end up like others who had previously attempted to go down that lane in the 1970s and had messed up their lives after being excommunicated from their churches. This new wave that started in the 1980s comprised a few churches that dared to pin their colours to the mast as Reformed Baptist churches. We were all very small and still meeting in classrooms. We knew we needed a conference to keep the fire burning. Well, 22 years later, the boys are men and the girls are women. The few small churches have slowly multiplied and have covered all the provinces of Zambia. And the warmth from here has begun to be felt in our neighbouring countries. More important than numbers, by the grace of God we have kept to the well-beaten path in the tradition of the Apostles, the Reformers, and the Puritans, whose watchword was Sola Scriptura. The Bible has remained central in all that we do. The preaching of the Word of God in its purest form is a non-negotiable among our churches. Hence, our coming feast is a feast in the Word of God. Just when we thought we were running out of space due to swelling numbers, the Lord enabled Lusaka Baptist Church to put up a church auditorium (or “sanctuary” as many prefer to call it) that can sit over 1,000 people. What an answer to prayer! In this way, we again have room for growth. So, we are looking forward to seeing those of you who are able to come (for online registration, visit www.kabwatabaptistchurch.org). If you are unable to be with us, then pray that God will own the preaching of his Word to his glory and for the good of all the saints. Amen! Yes, the annual spiritual feast is here! We thank God for His faithfulness in bringing us this far. It's been 21 years of spiritually enriching messages and uplifting fellowship with saints from around the globe. And I know this 22nd edition will not be any different, though certainly bigger! 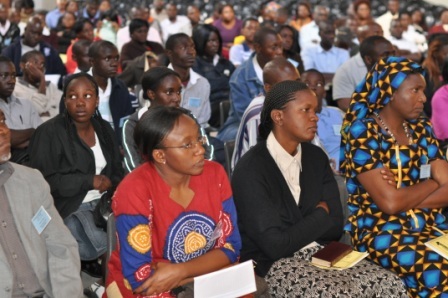 One very notable feature about this conference is the encouraging news shared about the ever expanding work of the gospel within and beyond the borders of Zambia. 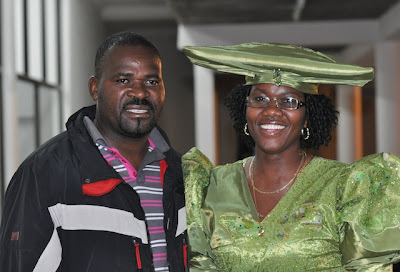 The Lord has truly been gracious to Zambia, and we must never take this favour for granted. Pastor Mbewe, I still remember your words last year "All I can say is I wish you were here" and since then resolved to attend this year’s conference. Thankfully my leave has been approved and hence looking forward to join the brethren in the annual feast. Am equally praying that God crowns His word with success. Wow, Sylvia, you are coming after next week? I had better work quickly on that editing assignment you gave me!